There is a lot of alarms, beeps and vibrations that come with diabetes. If you are totally decked out with a new-ish meter, an insulin pump, and a CGM of some sort, then you really know a lot about beeps, alarms and vibrations. I actually have turned off a lot of the 'sounds' and switched it to vibrate because I was getting really irritated by the sounds, of course if I am home-alone then the noise alerts (especially with CGM) are important, but for the most part the 'beeps' of diabetes drive me crazy. These machines, while incredibly helpful, can really be like walking around with a broken alarm clock. 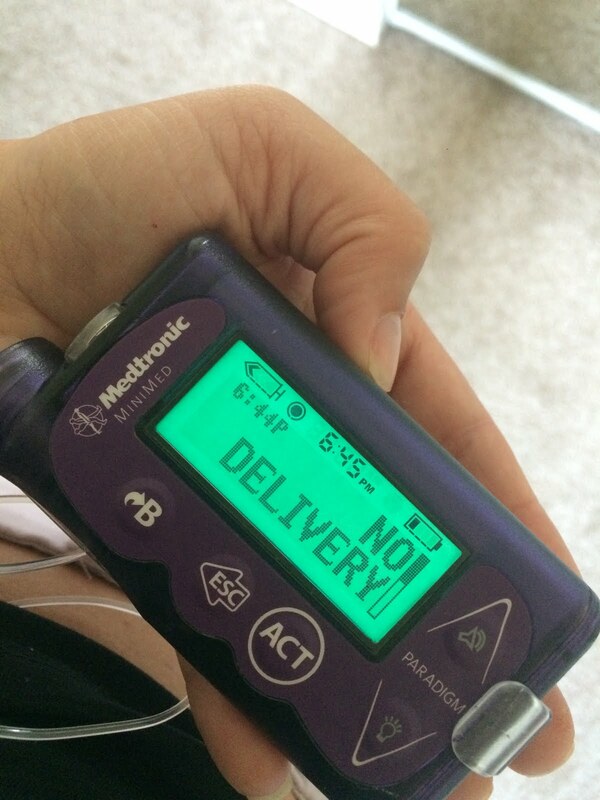 Usually my meter is buzzing to let me know I am high or low, or have inserted a strip, my pump is buzzing to let me know the same information, or bad news like 'low reservoir' 'low bat' or 'no delivery' and my CGM is sending more buzzing signals to my insulin pump to let me know what is happening with my blood sugar in the moment. All kinds of buzzing. For the most part you get used to it and you find what works for you. Some prefer to have the sound alert, while others prefer the vibrations. Sometimes it's a matter of what will grab your attention in case of an emergency and not necessarily what you prefer and that makes sense. Annoying or not, it comes with the choice of using the technology - so I'll take it.